This creative workshop will introduce you to the wonderful world of hand lettering, teaching you how to use a dip pen with a flexible nib, make basic strokes, and form letters in a distinctive copperplate style. By the end of the workshop you’ll have the skills to begin writing confidently in beautiful script lettering. Meticulous Ink’s in-house hand lettering expert Athena Cauley-Yu will set you up and give you the tools and techniques needed to be able to form your own individual style. There are only 12 places on this one-off special workshop, so book soon. 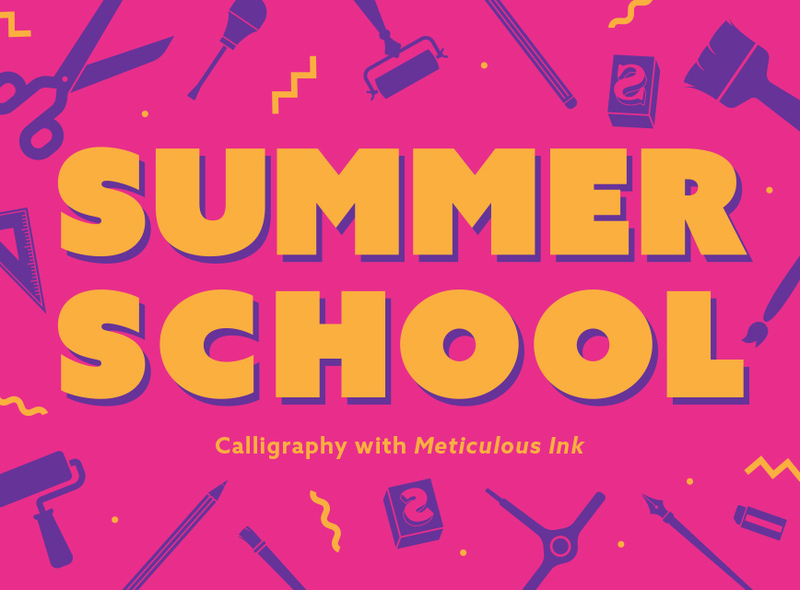 This workshop is part of WEDF’s Summer School – four evening classes that will get your creative juices flowing, so jump on in and get your hands inky. Visit Meticulous Ink for info on their work.